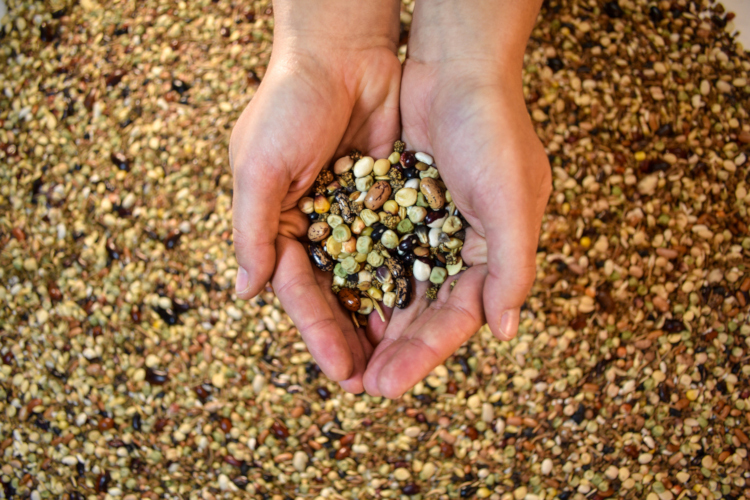 Seed diversity is the foundation of vibrant, healthy food systems. Every year nature brings new challenges to the people who grow food. USC Canada is part of a global movement fighting for justice, health and sustainability by shifting the way we grow our food. This starts with seeds. Dr. Charles Levkoe, the Canada Research Chair in Sustainable Food Systems from Lakehead University, and other experts have released a special issue of the Canadian Food Studies/La Revue canadienne des études sur l’alimentation journal addressing the Federal Government’s soon to be released Food Policy for Canada. Dr. Levkoe is an assistant professor in Health Sciences at Lakehead University and a member of the Canadian Association of Food Studies, which released an open letter to the Canadian food policy community along with 16 research articles that add to the conversation surrounding the creation of a national food policy in Canada. “A national food policy is not a new concept,” wrote co-editors Levkoe, Dr. Peter Andrée from Carleton University and Dr. Amanda Wilson from Saint Paul University in the introductory article. “Work towards a Food Policy for Canada emerged from decades of work by civil society actors, social movements, governments and businesses. While there has not been agreement on all aspects of what a national food policy should look like, there is consensus that the dominant food system is not working for many Canadians,” the co-editors wrote. “Our interests in the development of Canada’s national food policy . . . come from a recognition of the need for better coordination of existing food-related policies and programs distributed among different federal departments and agencies, as well as other jurisdictions. Existing policies tend to work in isolation from one another and some in contradiction, leading to even more complex challenges. The 16 articles reflect on earlier food policy efforts as far back as 1977; highlight the shifts and challenges facing food provisioning in Northwestern Ontario to emphasize the importance of contextual, place-based food policy; and argue that food sovereignty must be a prerequisite to the promotion of food security, health and wellbeing and safe food for all Canadians, and discuss other important issues and concerns that the Federal Government should consider surrounding food. You can view the open access special issue here.